Ceviche is to Lima as croissants are to Paris. It’s the sort of food that can range from simple and quick to deconstructed and complex. Either way, the marinated mixture of fresh fish is an edible lifeblood to Lima’s stratified masses, a unifying force that does not discriminate between race and class. 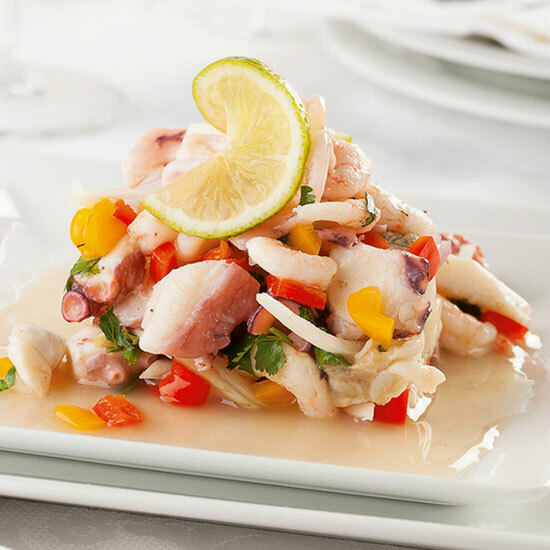 It should, then, come as no surprise ceviche is on just about every menu in Lima. While there are many excellent ones to be had—shout out to MARAS, Astrid y Gaston and La Picanteria for their strong-as-hell ceviche game—we’re going to go ahead and make a definitive statement: If you go to Lima for ceviche and fail to visit Chez Wong, you have done yourself a massive disservice. When you first arrive at Chez Wong, you may think you are lost. Peruvian Reggaeton will likely be blasting from the stereo on the cart of the man cutting keys down the street. Everything else just looks like someone’s house—probably because it is. 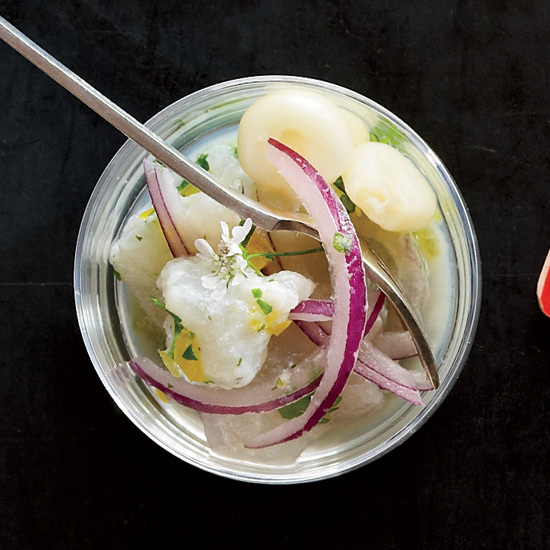 You’re in the right place: the Lima ceviche institution helmed by Chinese-Peruvian chef Javier Wong. 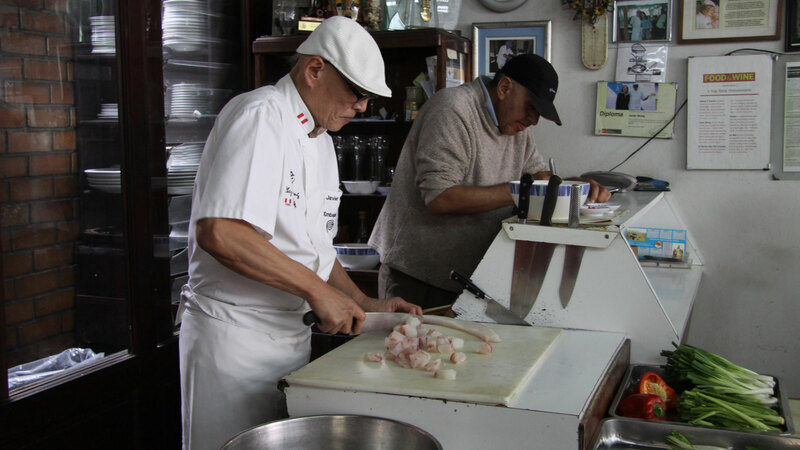 Wong, who has been serving ceviche for 35 years out of his restaurant-home, was once a crime reporter who got into cooking as an extra source of income. Thankfully for the world, he had a knack for it. Everyone who cares for food in Lima knows Wong as the guy serving up ceviche that’s so spectacular that you’re just as likely to find a politician sitting next to you at one of the six tables as you are the guy cutting keys down the street. There’s no menu—you eat whatever Wong feels like making that day. “Sometimes when I’m cooking, I’ll just change the plate in the middle of it,” Wong says on a recent visit. No matter the ceviche he makes, it’s just so terribly simple: flounder, onion, lime, maybe some octopus, depending on the day. You’ll find Wong rotates between three stations at Chez Wong: from his little station about an arms-length long, cutting fish for ceviche, to his one-man wok for his daily chife work. Perhaps the most infuriating part of Wong’s ceviche mastery is that he does it all in front of you, which at once taunts and tantalizes. Fileting the fresh flounder before your eyes, cutting it into silken cubes of translucent flesh that seem too large to be pleasantly textured. But they’re perfect bites, thanks to the unsurpassable quality of fresh fish he uses. For Wong, that’s part of the reason why he only serves ceviche from 1:00 p.m. to 3:30 p.m., also because he suffers from a heart condition that only allows him to work a few hours a day. But no heart condition could keep him from doing what he loves, which shows in the generous way he treats his clientele, whether a local or a group from Boise, Idaho. Often he’ll take pictures with flounder, hanging silver and shiny in one hand, with his other hand wrapped around a smiling patron’s shoulders.